Translating a ±15V signal to a single supply 5V signal for use with an ADC is a common circuit requirement. 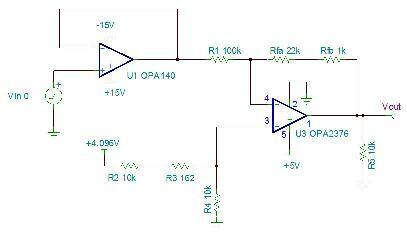 This Dual Supply to Single Supply Amplifier circuit design translates a ±15V signal to a 0V to 5V signal. The output of this design will not be outside of 0-5V regardless of power supply sequencing or other transient conditions.